Most businesses don't see sales and marketing as working together as one team, so they're kept separate. This means marketing is doing their job, without knowing what sales really needs, or what the prospects are asking for (like white papers, marketing collaterals, etc). Also, marketing is generally salary-based work, whereas sales is commission-based. I don't argue for one or the other, but this could cause friction where both teams are trying to improve the number of leads or sales; when they should be focused on improving quality. So, how do you bridge the gap between two of the most powerful teams in your business? At my time at HubSpot there was a meeting every week. Both marketing and sales would get together to look at numbers, or experiments they're working on. Sales and marketing work together a lot, and their numbers are tied together, instead of being walled off. On the other hand, sales has the information marketing need to conceptualize and create new ideas. As much as possible, have the marketing team attend sales calls or listen to recorded sales calls afterwards. The materials that marketing can make from these activities are valuable in creating effective campaigns. Likewise, have your sales team attend regular meetings on marketing strategies and development. They can provide insights on what's going on in the field; which makes it easier for marketing to create relevant content. In time, both will realize how much information can be exchanged, propelling them to a new sense of respect and accountability for excellence. The marketer's goal is to spot the types of information customers need at every phase of the journey. Afterwards, marketing will pass this information to the sales team, who is now ready to engage leads with clarity and understanding the specific requirements to close the sale. Sales shouldn't try to sell at the awareness stage. Instead, buyers would prefer to get a whitepaper, an idea kit, or a tip sheet to educate them further. On the other hand, buyers below the decision stage won't find a how-to video helpful. Developing a buyer's journey guarantees that everyone is harping the same message, targeting the same problem and speaking to the same customer. "You need an easy way to get leads into the right hands automatically, a way for them to report on whether they have accepted or rejected the lead, and, if they accepted the lead, what the disposition eventually was—won, lost, or not really a lead." Wouldn't it be great for both the Sales and Marketing to use the same technology stack? According to HubSpot, smarketing refers to the alignment between your sales and marketing teams created through frequent and direct communication between the two. I believe smarketing is the best way for improving lead generation and increasing profits. When working closely, sales and marketing enjoy a 36% higher customer retention rates. Plus, companies who have their sales and marketing aligned can achieve up to 20% revenue growth. First, smarketing allows sales to address the issue of prospecting leads. With marketing sharing customer insights with sales, reps can give a more personalized approach to the lead. And the more personalized the message is, the more likely that leads convert and become long term customers. 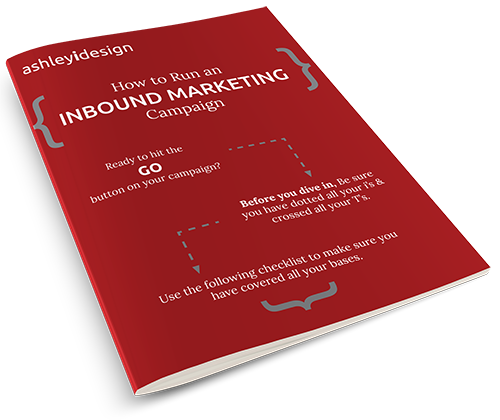 Second, smarketing lets marketing increase its lead conversion rate. By following up on leads, sales can help marketing gain insight on how to create content in making conversions better. Is the turf war real? Can you think of other ways to bridge the gap between sales and marketing?